Our celebrations are like nothing you’ve ever experienced! As soon as you walk through the door of a Jack Petchey event you’ll be entering a room full of fun and energy! We have fantastic entertainment, fabulous venues, great guests and, of course, the best audiences in the world! Each event starts with a short film about the Jack Petchey Foundation and then we launch into the first piece of entertainment, before the event’s guest VIP says a few words of welcome. We then hit the awards running! The music starts, the lights flash and we are off – award winners come on stage to huge cheers and clapping, collect their award, have their photograph taken with our VIP and then their school or club. Throughout the night, the audience will also be treated to various entertainment pieces from talented young people in the area. After a few closing remarks, we send our audience home with a spring in their step and, if we have done our jobs right, hearts bulging with pride! If you’re an award winner from a school/college/organisation that has a uniform then please do wear that but, if not, this is a special occasion so smart dress is best! When you arrive, guests and winners will be directed to their seats. All award winners will sit with their organisation and guests will be seated elsewhere. This not only helps to build the momentum and excitement but it also makes it easier for our winners to access the stage. We make sure when selecting a venue that all of our supporters are able to access the auditorium, so all venues are accessible. Do let us know if you have any special requirements so we can do our best to help you. This is a special occasion so we encourage all members of the audience to take as many photos as they like! We do have a professional photographer capturing moments (which you will be able to download for free from our Gallery after the event), but please feel free to take as many photos and videos as you wish as well. All tickets will be arranged by the Jack Petchey Foundation Events Team. 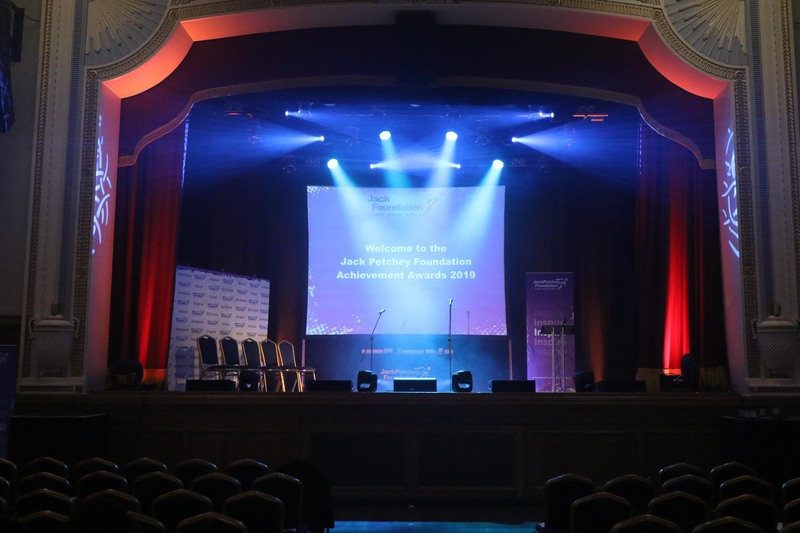 Your school’s Jack Petchey Coordinator will be contacted before an event to provide us with a list of attendees. We will then send them tickets to pass on to the award winners. These should arrive to the coordinator around two weeks before the event. If you would like to request any extra tickets, then please speak to your Jack Petchey Coordinator who can arrange this with us. Please do give them as much time as possible to arrange this though, as each event is ticketed two weeks prior to the event. If you are part of a youth club, then you may be invited to attend a ‘regional event’. We hold around eight a year and they are open to any award winner from any youth organisation/group/club in that area that participates in the Achievement Award Scheme. Your coordinator will need to contact us at the Foundation and book your group on to an event. Contact the Events Team on 020 8252 8000. All umbrella organisations (e.g. Scouts/Guides/Cadet forces and the Boys’ Brigades) on the scheme have dedicated events organised for them too.